If we think families live through hardships today, consider the Goodrums of Fort Worth. My mother (Mary Ellen Goodrum) and her siblings grew up in poverty. That did not blight their lives. My grandmother’s maiden name was Lutie Hunt Donaldson. She was born in 1877. With her first husband, a man named Goss, she had four children – Ethel, Nellie, Leo, and Leah. They were born between 1900 and 1911. But Goss abandoned his family after 1910, so Lutie divorced him. Goss moved on to a second family, which he also abandoned. Years later, several of Lutie’s grandchildren met members of his second family in San Francisco. In the mid-teens, Lutie met Charles Goodrum, who lived next door to her in Cleveland, Texas, where she ran a boarding house. They married. Charles and Lutie Goodrum had one child, Mary Ellen, my mother. The other four children took his name. But that marriage did not last either. According to Lutie’s older daughters, Charles was “mean” to Lutie, and they divorced. Whenever my mother’s Irish temper boiled up, which was often, I tried to remember that she had grown up lacking a father. Lutie married again to a Mr. Long. They divorced and remarried. I heard tell that Grandmother herself sported quite a temper. At some point, Lutie had moved from Cleveland back to Fort Worth, where she again ran a boarding house and also took in laundry. I recall mother’s telling me how the family lived near a street-car stop. The riders dropped off laundry for Lutie and her children. Yet all of the children married and produced successful children of their own. Hard as was the childhood of the Goodrums, one of Lutie’s sons-in-law spent his youth as an itinerant immigrant working hard. Nellie Goodrum, the second of Mother’s three sisters, married this hard-working young man in 1924. His adopted name was Henry Merino. We called him Uncle Hinkey. Henry was an Sicilian immigrant. I am piecing together his remarkable life with the help of their son and daughter-in-law, Henry Merino, Jr., of Dallas. and his wife, Judy. Uncle Hinkey’s real name was Andrea Parrino. He was born in Sicily in 1896. That turns out to be descriptive. The town sits on a plain surrounded by mountains in northern Sicily. According to Wikipedia, the settlers were not Italians at all, but Albanian — Orthodox Christians who fled from the Ottoman Turks after the fall of Constantinople and the death of the Byzantine Empire in the 15th century. The Italians named the town “the plain of the Greeks” (piana dei Greci) because the Albanian refugees were Greek Orthodox. 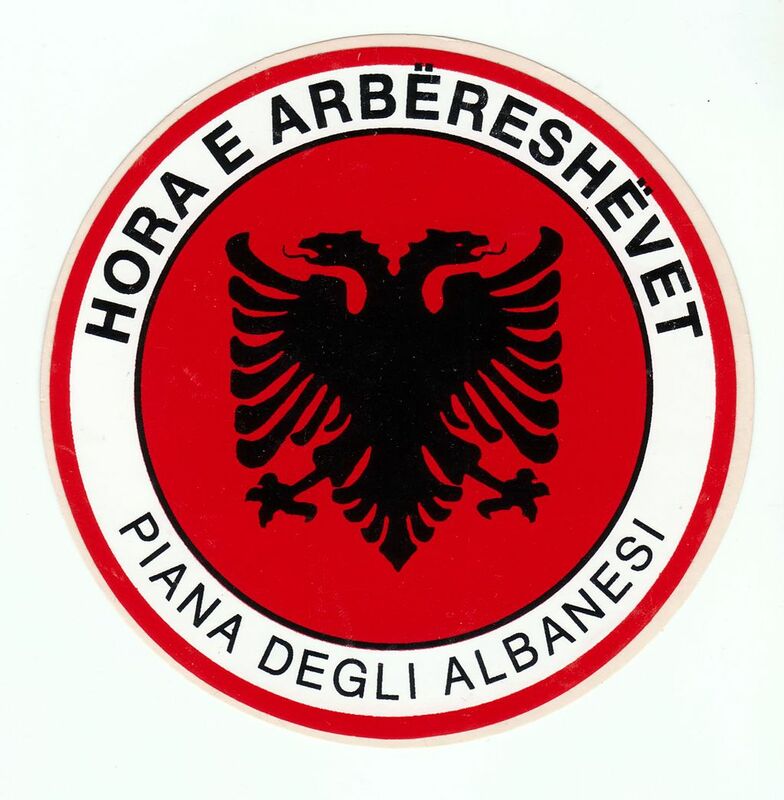 The name changed to Piana degli Albanesi (the plain of the Albanians) during World War II. About 1907, Andrea’s father, Paolo, brought two sons to New Orleans by ship. Andrea was ten and his brother eight. The plan was for the whole family to immigrate to the United States. The brothers chopped sugar cane for a time and then took the train to Fort Worth, where they had relatives. Two years later, Paolo sailed back to Sicily to bring his wife to the States and reunite the family. But she refused to move to America. In 1914, with the outbreak of World War I, the trip became impossible. In 1948, Henry took his family back to Pianna dei Greci to visit the Sicilian relatives. His son, HenryMerino, Jr., still corresponds with cousins in the old hometown and in Palermo. How did the young boys cope in Fort Worth? They lived in the Worth Hotel, where they ran the elevator at night. In the daytime, both went to school through the fourth grade. When the boys received American citizenship, they changed their names to Henry and Joe Merino. They wished to Americanize themselves. As an adult, Joe moved to Los Angeles. During World War II, I remember visiting Joe’s restaurant when our family was living in Long Beach in Navy housing. Dad was at sea on an oil tanker as the commanding officer of a unit of the Navy Armed Guard. I vaguely remember the restaurant with a yellow stucco exterior that sat on a hill. My only clear memory is of playing in the back seat of Joe Merino’s limousine with my brother Fitz, who was then two. I think Mother put us there so she could eat lunch in peace. A roll-up window separated the driver from the passengers. A hand crank in the partition allowed the passengers to raise the window for privacy. We had driven to California in a 1940 Ford with bald tires, and we loved this limousine and this gadget. We rolled it up and down many times. Henry remained in Fort Worth. Both our parents had grown up in Fort Worth and returned at every opportunity to see family. We spent hours at the Merino house, first on Birchman Avenue and then (a new house) a few blocks away on El Campo. The Merinos kept two new Buicks in the garage on El Campo. Nellie’s was a Roadmaster, the top of the line in the Fifties. What really impressed me as an adolescent was the roadster driven by Henry, Jr. (still known as “Brother”). The roadster sported an actual rumble seat in the trunk. Brother allowed me to ride there one summer when he took us swimming. Uncle Hinkey owned and operated a recreation club (i.e., a pool hall) in downtown Fort Worth. His location was 7th and Main, one of the best corners in the city. Through the years, the pool hall moved to all four corners of the intersection. Some of my cousins believe wagering (!) took place at the pool hall, but I have no official confirmation of that. Whatever the business, Uncle Hinkey earned his way and raised two beautiful children with Aunt Nellie. Their older child, Helen, one of the most striking women I ever knew, became a master teacher in the Fort Worth schools but died prematurely of cancer. Henry, Jr., now in his eighties, was a tall and handsome young sailor when I got to know him. He served in the Navy as a sonar technician during the Korean War and towered over his father, who stood about 5 feet 6. Brother finished college in electrical engineering. He spent most of his life as a manufacturer’s representative in the electronics industry. Brother said his father drove downtown every morning and back every night. The club doubtless closed on Sundays. Everything did in those days. In the Fifties, Uncle Hinkey began taking Fort Worth’s new freeway, now Interstate 30, to work. Three times the police ticketed him – for driving too slow. He never understood why. Uncle Hinkey came home from the recreation club every night to a home-cooked meal. We crowded around the table in the kitchen on our visits to lap up Aunt Nellie’s spaghetti. Hinkey joined us but did not say much. He was a taciturn man. Off the kitchen, he had an easy chair in a small sitting room that housed the technological marvel of the age: a 15-inch black-and-white television set. The room also contained the even greater marvel of the Fifties (at least in Texas): a refrigerated-air-conditioner in the window. The only cooling available in the Forties had been electric fans. Only movie theaters had refrigerated air-conditioning. And Texas is hot for four months of summer. In the afternoons while Uncle Hinkey was at work, we gathered around the television (there being no television in far West Texas, where we lived). We stared at what the station called the “test pattern,” which meant a cardboard sign emblazoned WBAP-TV or WFAA-TV. We watched the test pattern for hours. Late in the afternoon, the programming switched on. There was lots of wrestling. There was no network available yet. Around 11 p.m. or midnight, the station played the national anthem to a waving American flag, programming ceased, and the test pattern came back up. At night, the room belonged to Uncle Hinkey. He eased into his chair to watch boxing or wrestling or whatever and smoked his cigar. Often he fell asleep. Occasionally the cigar burned his fingers while he snoozed. Uncle Hinkey died in 1978 at the age of 84. His funeral took place in the Methodist Church where his wife’s family worshipped. What I remember of that day is the distraught, weeping widow who could not leave his open coffin. He was beloved. house. We lived right behind them on Collinwood. Small world. Judy and I were just discussing your Jan. 1, 2015, message to her and we have some additional info you may want. Grandmother’s third husband was George Long, and her fifth husband was also George Long. 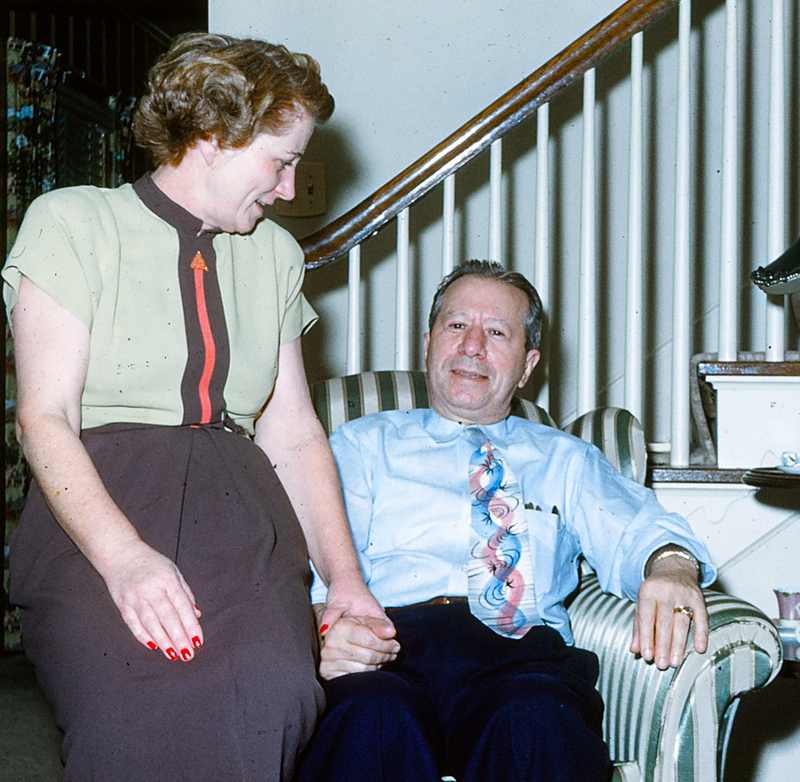 She married him twice and they lived in a small house on the North Side of Ft. Worth. George once caught a 36 pound Catfish in the Trinity River of Ft.Worth. I believe the house was on North 28th Street not far from the Jacksboro Highway.We visited them frequently and George was well liked by our familys as I recall. I can still recall the house they lived in somewhat.